Solemn Sound Records is a conservative Christian music label with the desire to impact today’s culture and add gospel music ministry to the mission resources of the church. Our goal is to help new gospel singers, songwriters, and musicians share their gospel music ministry around the world. If gospel artists are truly sincere and are determined to put their energy into their music, then we want to help them spend their energy in the right places. Mountain gospel music has a tradition of sacred music dating back over 100 years. It’s offshoot, bluegrass gospel is a powerful force in music and is performed and enjoyed around the world. music that encourages the listener to have a closer walk with the Lord. Michael Lindsey fell in love with the piano as a toddler. Instead of banging on the keys the way you’d expect a child to do, Michael would carefully pick out simple melodies. His parents saw his love for the piano and put one in their home as soon as they could. As the years passed, Michael developed into a phenomenal pianist. He has played accompaniment for other musicians and singers, wrote some of his own songs and played at weddings, venues and churches. The Lord has given him a special talent and Michael consistently uses it for His glory. Michael could have easily ventured into the secular music world, but he remains loyal to his Creator and honors Him with the talent he has been blessed with. Michael lives in Texas with his wife Cari and their four children. and more great gospel hymns of faith. 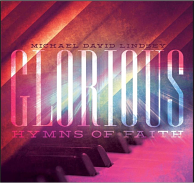 “Glorious Hymns of Faith” – © 2015 – Solemn Sound Records. 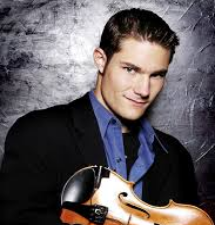 Four-time Grammy award-winning instrumentalist Andy Leftwich started playing the fiddle when he was six years old. He joined bluegrass legend Ricky Skaggs & Kentucky Thunder right out of high school in 2001. 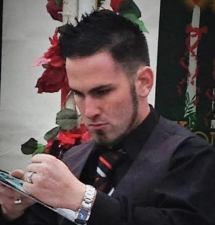 Andy left Kentucky Thunder at the end of 2016 to pursue a solo career. When asked the question – “Where do you go from Ricky Skaggs?”, Andy replied, “My wife and I have been able to be part of some really great meetings with some churches around the country. I’m definitely not quitting, I’ll keep picking. I’m looking to be more a part of the ministry. 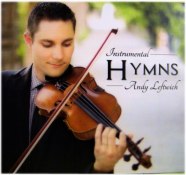 I’m excited about the possibilities of doing more of that.” Andy’s latest album “Instrumental Hymns” is a collection of some old classic gospel songs, only this time, with an Andy Leftwich arrangement. “Instrumental Hymns” – © 2016 – Andy Leftwich. Travis Alltop has enjoyed playing the guitar since he was six years old. Travis is not only a bluegrass guitarist and vocalist but he is also the pastor of Bluegrass Pike Baptist Church in Danville, KY. 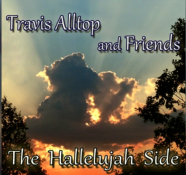 The “Hallelujah Side” released in 2013, is Travis’ second album of bluegrass gospel hymns. He is joined by many of his talented friends on this album, including Andy Leftwich (fiddle and mandolin), Darrin Vincent (bass and harmony vocals), Rachel Leftwich (harmony vocals), and Jim Britton (banjo and Scruggs style guitar). Even though many of the songs on this album are 100 years old, Travis and his friends make them fresh and new. and more great gospel songs of faith. “The Hallelujah Side” – © 2013 – Travis Alltop. The Doucettes began playing bluegrass gospel music individually, each picking an instrument or two and developing their skills. A music school at their church in 2011 was the major catalyst in getting the kids excited about playing. 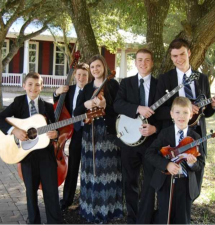 The next year, the four oldest children began playing as a band every Sunday at their church. As time progressed, they began visiting other churches to sing and play for special meetings. The band now comprises all six of the Doucette siblings and travels across the country and to several international destinations including Ukraine, Colombia, and Spain. 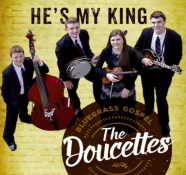 In 2017, the Doucettes recorded their second album entitled “I Have Found Him”. To find more about each of the six band members, you can read their individual bios or visit their website. and more great bluegrass gospel songs of faith. The Doucettes are featured in our “Artist Spotlight”. 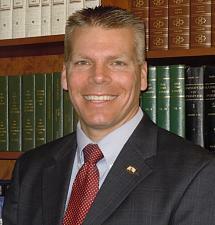 Philip Dunn is a native Texan and has lived in the Houston area since 1980. He has been saved since 1972 and has spent many of those years singing and preaching across the country. He has been a Music Director, Adult Class Sunday School Teacher, Instructor in the Bible Institute and New Converts Class and Volunteer Chaplain for Harris County and for the Texas Department of Criminal Justice. 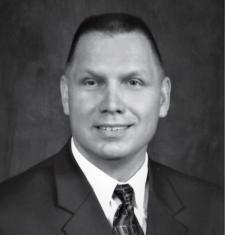 Phil Dunn is currently the Pastor of Lighthouse Baptist Church in La Porte, Texas. He is happily married to his wife Robin. The project ‘For Lovin’ Me’ was produced by Andy Leftwich and recorded in Nashville, Tennessee. The project came together as the result of a collective effort from Solid Rock Baptist Church in Calgary, Alberta Canada; Bluegrass Pike Baptist Church in Danville, Kentucky and Phil Dunn’s own church, Lighthouse Baptist, in La Porte, Texas. 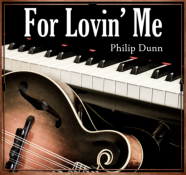 “For Lovin’ Me” – Philip Dunn.